After pregnancy or later in life, you may consider repairing your skin from damage. DaVincii Obstetrics & Gynecology located in Madison Heights, Michigan, is your choice for your private needs. The doctors understand how important regaining your body can be not only after giving birth, but also later in life. If you are interested in treating scars, stretch marks, or wrinkles in a caring atmosphere, call the office for available appointments. Skin rejuvenation is the process of repairing damaged skin, giving it a more youthful and restored look. If too much sun, aging, or scarring from trauma or pregnancy has affected your skin, DaVincii Obstetrics & Gynecology offers a solution using Votiva radio frequency. The Votiva system is FDA approved and makes skin rejuvenation painless. What areas does skin rejuvenation treat? In skin rejuvenation, any area of the body is treated with Votiva radio frequency. The team at DaVincii Obstetrics & Gynecology can treat wrinkles on your face and neck. You can also have the radio-frequency treatment on both internal and external vaginal areas. The skin around your stomach and any scars are prime treatment areas. 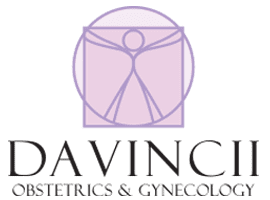 Having any area treated is possible, but speak with the professional team at DaVincii Obstetrics & Gynecology about which areas have the potential for the best results for your body. Will the effects of skin rejuvenation be permanent? Votiva skin-rejuvenation treatment removes damaged skin cells. The removal of the damaged skin cells imparts a more youthful appearance with fewer lines and wrinkles. The skin is stimulated during the treatment, spurring new growth. The long-lasting effects will continue with proper skin care and reduced exposure to sunlight. The healthcare team at DaVincii Obstetrics & Gynecology can explain what you can expect to see for your personal results. What happens during a skin rejuvenation appointment? Votiva radio-frequency treatments are a nonsurgical alternative to plastic surgery. The treatment is performed in the office. The staff advises you how best to prepare your skin for the treatment, usually six weeks before the procedure is scheduled. During the appointment, the team uses the handheld Votiva device to heat the skin being treated. The treatment does not burn, but you will feel the warmth. The treatments can last from 25 minutes to 2 hours. Your personalized treatment plan will include how long your treatment session will be. What is the expected recovery time after skin rejuvenation? After your treatment, your skin may not show signs of the treatment or it may appear red and flaky. Your skin can continue to flake and peel for up to two days after your treatment. Typically, though, you will not need any bandages after the treatment and can resume normal activities immediately upon leaving the office. If you have considered skin rejuvenation in the past and would like to have a dedicated and devoted medical team answer your questions before treatment, contact DaVincii Obstetrics & Gynecology by calling their office.